Give yourself the benefit of a doubtful situation, and make the best of it! If unemployed, you can find yourself in a situation where it can be as easy to get in a slump as it is to mastermind a new escape into the great unknown. Freedom can do strange things to people. Enjoying yourself responsibility becomes a labour of love and a test of discipline. So what I decided to do was to take advantage of Blockbuster's recent Summer Savings Event and get a "movie pass" that allows me to rent as many movies (new releases excepted) for $10/month. Some may say that prostrating oneself in front of a screen is a waste of time, but I think otherwise. Right now the global situation of our ongoing survival is at least somewhat doubtful regardless of who you ask, for many different reasons. We're stuck in the vision of cities as the same basic box-shaped structure of steel and glass that existed in the 50's, with oil and electricity dependance. 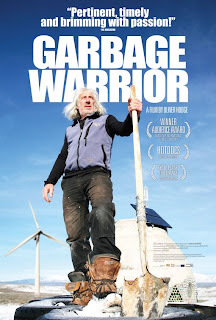 But I just recently watched "a genuinely inspirational film" -Artvoice, called Garbage Warrior about a man who made his own destiny and changed many lives. It shows how the possibility of living off the grid can be a lot more hopeful. It documents renegade architect Michael Reynolds journey as struggles to be allowed to build "earthship" houses out of bottles, cans, old tires and dirt. He spent 30 years in New Mexico developing these self-sustainable structures that not only product their own water, grow food, electricity, sewage etc. they look peculiarly interesting, with their kaleidoscope of light-infiltrating bottles in the walls, and hand-molded rounded shapes. Knowing that these houses actually work and are resilient to various climates only makes them more desirable to live in. What's amazing is that when Reynolds got his crew together to build these villages, they took garbage and practically build the houses for nothing! To lose one's licence after ten years of school to become an architect, and then to be told 'no' to literally building your dreams; of course that's gonna shake you up. Luckily, Michael Reynolds doesn't give up easily. After Hurricane Katrina came he again tried to propose his ideas and was struck down again. People had no homes. They had nothing. What he was proposing was an immediate solution to their problem, but the law doesn't provide immediate solutions to anything. The whole experience shows how frustrating and absolutely ridiculous the legal system is. It's a "grandfather system" that works for certain things if you have all the time in the world but now more than ever we need swift decisions. The fact that you can have a room full of politicians wasting time, and that that's their job: to kill a bill by filibustering, when it suits them, because doing anything too radical, too immediate, would be a "liability", or a "safety concern" is disgusting, but of course, as many of the ways society works can be summed up: "it is what it is." When another hurricane struck the Andaman Islands due to one of the biggest earthquakes since the 1900's, Reynolds finally got to put his work to practical use. The island was devastated by flood, with more than half of the residents lives erased. The documentary shows one man pointing to different areas, saying "we sat there" or recounting times with family and friends in spots that bear no record of history. Reynolds meets with architects and explains how his structures are round so that they distribute the force of a striking wave and how, he believes, they would stand up to earthquakes reading 9.1 on the Richter scale. In the face of devastation, the local residents of the Andaman Islands show immense resilience and courage to get on board. The women are mixing mud for mortar, and making "bricks" out of the plastic bottles children find in the streets. They pound dirt into old tires with sledgehammers. Reynolds had proposed directly giving people the tools to build their own earth ships, not designing AND building cities as an alternative to taking on the liability of being completely in charge. He wanted to make an "experimental test city" reasoning that if the US could designate miles and miles of land in Arizona just to periodically detonate and destroy land with nuclear weapons, to "test" them, why couldn't he "test" something a little more constructive? On the one hand, the US took extreme risks in testing nuclear weapons that they didn't even know whether they would destroy the whole planet in the interest of "security. On the other, someone wants to take a small risk to provide shelter, when working examples of those structures already existed, and it's considered "radical". The happy part of the story is that once the board of architects in the US heard about Reynolds work in the Andaman Islands, they finally decided to award him back his Architects licence. I commend the man as a true "warrior." posted by sirbarrett at 10:38 a.m. This looks like a very interesting documentary ... I am going to see if it's available on Netflix. 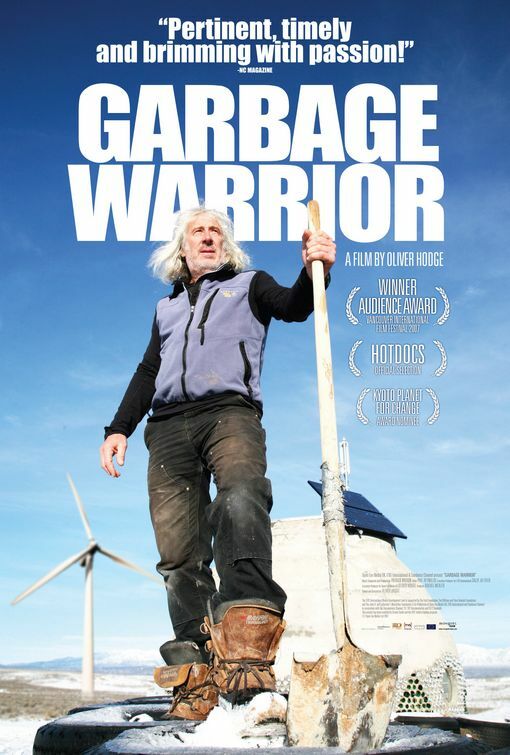 have always been interested to know what really happens to all the garbage (on a global level). Hey man, sorry for the delay! I just noticed this comment. Things are good for me here in Canada. Although it's almost been a year, I am still adjusting to moving to the big city of Toronto. There's always lots to do and see, especially to do with movies considering it's home to one of the largest international film festivals in the world —including a new year-round facility considered to be the 'Mecca of movies'.